Esophageal Cancer is one of the uncommon cancer but now it is growing from the past 30 years and affecting the lives of people. 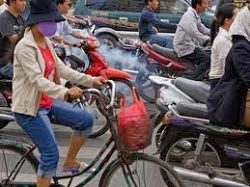 It is increasing due to change in the dietary habits, pollution and drinking and smoking habits. 1. 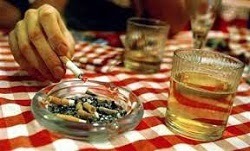 Smoking & drinking Alcohol :- Smoking & drinking Alcohol increase the risk of esophageal cancer. When you smoke cigarette or pipe, then some of the smoke particles are inhaled in through esophagus to the lungs and thus leads to esophageal cancer. 2. 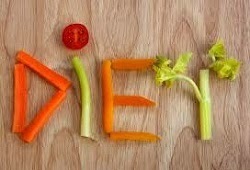 Diet :- The persons having diet rich in red meat are at higher risk of esophageal cancer. The food rich in spices and hot drinks also increase the risk of cancer. Eastern countries uses much spices and thus are at high risk of cancer. Diet rich in fruits and vegetables is an ideal one and it can reduce the risk of esophageal cancer as these contains certain vitamins and minerals and they are good antioxidants which can fight the free radicals which are responsible for cancer formation. 3. Barret's esophagus :- This is the condition in which the the cells lining the esophagus become abnormal due to acid reflux in which the acid present in the stomach is shifted back towards the esophagus and led to irritation in the esophagus and abnormality in the esophagus cells. 4. 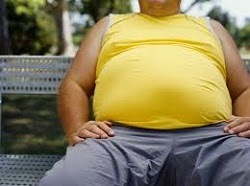 Obesity :- This is also a main cause and a risk factor which can increase the risk of esophageal cancer. Obese people are more vulnerable to esophageal cancer as they have more chances to have Barret's esophagus. 5. Pollutants and certain chemicals :- If you are exposed to certain chemicals and pollutants for a long span of time then you are at a high risk of esophageal cancer and particularly if you inhale these chemicals which include soot, silica dust, metal dust and vehicle exhaust fumes and many other pollutants. 6. Age & Tooth loss:- Age is also a factor which can put you on risk of esophageal cancer. There is a rare chance of having this cancer in early ages but the risk increases after the age of 45. It has been observed that people who have lost their tooth due to any deficiency of vitamins or minerals or other factors are at more risk of esophageal cancer because they suffer from chewing problems and the large pieces of food irritates the esophagus.